The University of Northwestern Ohio. It is generally recognized what one does to make a living is intrinsically linked to happiness and contentment. Financial reward alone is not the key. If you can find a career that pays well, has opportunity, and is something you have a passion for, then you have won life’s lottery. Regardless of your age or experience if you are a diesel enthusiast, the thought of making a career by working with compression ignition engines is inviting. But to accomplish this dream requires the proper training and that cannot be found everywhere. The family farm has an especially challenging situation though. Where can a family member receive a college education with a focus on a mechanical skill that will bring value to the operation when they graduate and return home? Lima, Ohio, that is where! Today’s farm equipment is very complex and the knowledge level that was acceptable years back is no longer enough. As the author, I have a had a relationship with the University of Northwestern Ohio (UNOH) for more than twenty-one years. 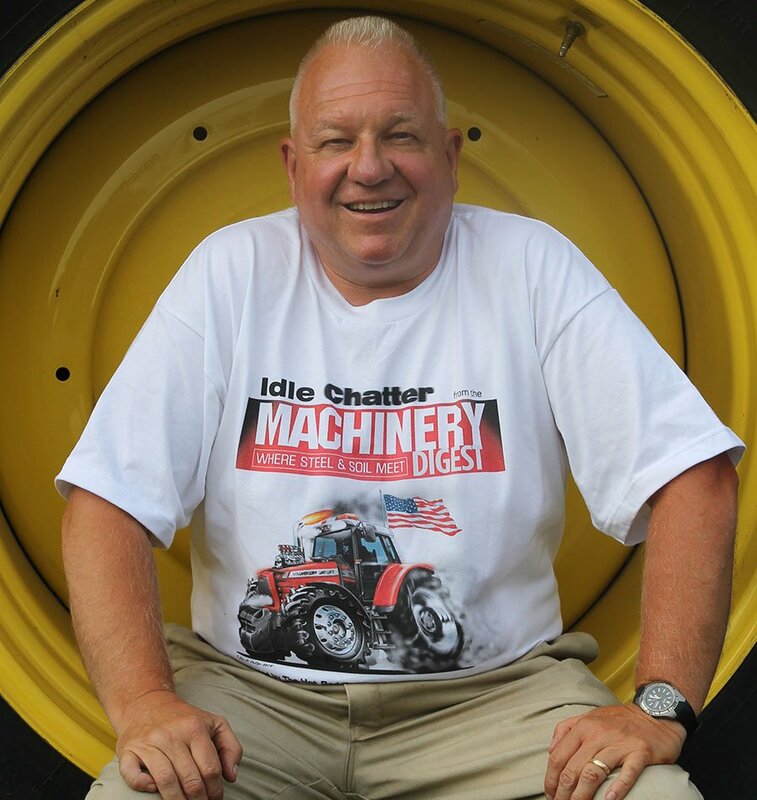 I have used their excellent facility to deliver training programs to the industry and have even filmed two years’ worth of Engine Man segments for Successful Farming TV there. I have been well exposed to all aspects of UNOH and especially their dedicated diesel and agricultural mechanic programs. 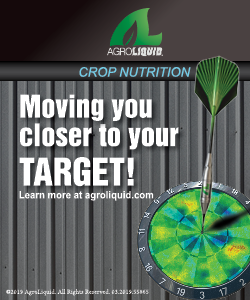 I am excited to tell all of the readers of the Farm Machinery Digest about it. The University was founded in 1920 and is a private, not-for-profit institution on a 200-acre campus. 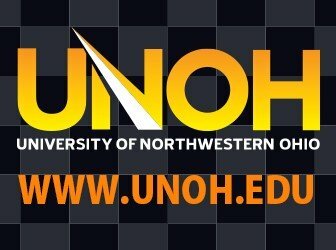 UNOH is a co-educational institution authorized by the Ohio Board of Regents and accredited by the Higher Learning Commission of North Central Associations of Colleges and Schools to grant a Master’s of Business Administration Degree, baccalaureate degrees (Bachelor of Science), associate degrees in applied science, along with certified diploma programs. In addition, there is also a Commercial Driver’s License (CDL) program that students can participate in and numerous sports teams. A gymnasium, restaurant, student lounges and picnic areas are available for enjoyment along with the university owning Limaland Motorsports Park, a fully functioning race track only a few miles from campus. The Diesel Technology Associates Degree in Applied Science requires a total of 106 credits with 66 being directly related to diesel engines. The balance are traditional college courses that complement the technical education such as math, English, science, computer skills. The following is an over view of the diesel specific classes. This course covers the theory and operation of both two and four-stroke diesel engines and the related components. Systems that are covered include: lubrication, cooling, fuel, intake and exhaust. In this class engines will be disassembled, measured and assembled to original specifications. Troubleshooting and failure analysis is included. Detroit Diesel, Caterpillar, Cummins, Mack, Case, International and the GM Duramax are all studied. This course covers diesel electronic controls, tune-up, E.G.R., engine brake, and diagnostic procedures. The curriculum is created around running engines that are common in the marketplace today. The students perform horsepower and torque testing using engine dynamometers. Electronic troubleshooting using hand-held electronic devices and computer programs are an important element of this syllabus. 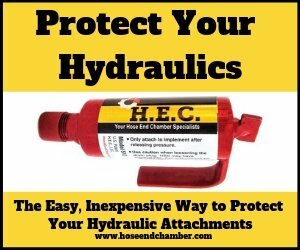 Hand-held OE tools such as Cummins Quickcheck and Prolink are also covered along with Detroit DDEC, Cummins Celect, Celect Plus and Interactive, Caterpillar ADEM II & III and Mack V-MAC. Discussion of principles of compression ignition engines, operation of both mechanical and electronic fuel systems, along with turbochargers. The students disassemble, inspect, discuss, assemble and test diesel fuel injection pumps, nozzles, injectors and governors. Testing includes the use of the Bacharach injection pump and nozzle test bench. Students learn to diagnose, repair and program current electronic controlled diesel engines used on highway, agricultural, industrial, and other applications. A laboratory session that includes working on live vehicles and engines are part of the class work. This course is an in-depth study of electronic components and how they work in truck and agricultural applications. The use of meters, scan equipment and oscilloscopes are all employed. In this program the students will identify air systems, air brakes and anti-lock brake systems while learning failure analysis and the proper service procedures. The operating principles of the components in truck drive trains are examined. Students will remove, disassemble, inspect, assemble and install an Eaton/Fuller 9, 10, 13 or 18 speed transmission, two-plate clutch, rear drive axle with power divider, universal joints, and slip yokes along with other components. While performing these tasks the use of micrometers and dial indicators will improve troubleshooting skills and diagnosis. A complete study of oxy acetylene welding, braze welding, Gas Metal Arc (MIG), Gas Tungsten Arc (TIG), Shielded Metal Arc Welding (STICK), Plasma Arc Cutting and flame cutting techniques. The job responsibilities of agricultural equipment service technicians are becoming more complex as electronic components control the operations of tractors and combines. Today’s agricultural equipment technician is required to have training in computer technology, electronically controlled hydraulics, global positioning systems, and ground navigational electronics. The days of working on your equipment with only simple hand tools are a thing of the past. UNOH offers an Associate and Diploma programs in Agricultural Equipment Technology that will provide the foundation for a career. Each of the instructors bring real world experience to the classroom from years in the field and most of them farm too. 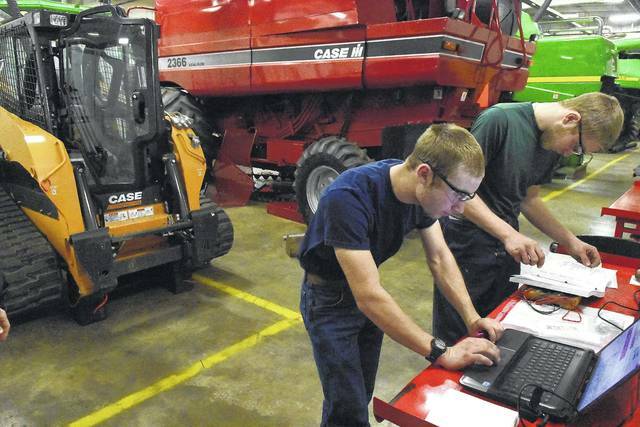 The students train with the same tools and equipment found in agricultural equipment service centers and dealerships across the nation. Even though UNOH offers diploma programs, what separates the university from a traditional trade school is that a student can achieve either an associates or bachelor’s degree in diesel technology. That opens doors for employment that would normally be closed with a lesser education. 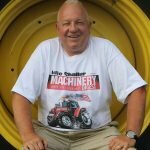 If you or someone you know has an interest in really learning about diesel engines and farm equipment tell them about UNOH, before they get left in the dust!